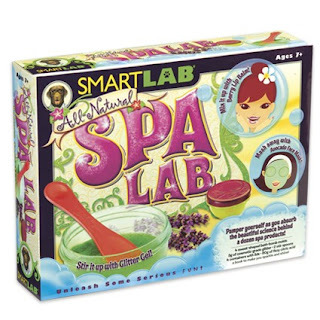 A YEAR OF JUBILEE REVIEWS: SmartLab Toys- Spa Lab Giveaway! Maybe it is because I homeschool? Maybe because I love crafts? I lean toward buying Christmas gifts that are educational and interactive. I throw in a video game now and again, but I much rather give a gift of something I can do along side my child. SmartLab offers a variety of these style of toys. With categories of Science and Art you can choose the bent your child seems to favor. I love both of them! With my daughter I was excited to try out the All Natural Spa Lab for a fun Mother Daughter night. The All Natural caught my attention right away! 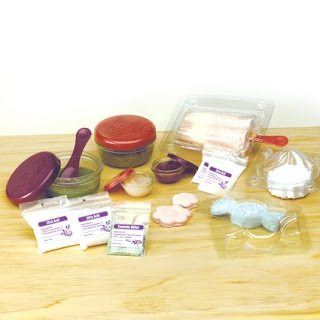 Many of these fun kits really aren't that skin friendly and I was pleased that SmartLab had one that was perfect for us. It even won the Dr.Toy Green Award! Beauty really is a science and as you work through the lab we were able to see what ingredients work well for what parts of our beauty regime. The book gives all of your recipes along with the ingredients you will need to grab from your kitchen. Some of the ingredients you will need to plan ahead for, like an avocado, sea salt, maybe even essential oils. You should have everything you need for the bath bombs on hand with cornstarch, baking soda, and the citric acid provided. We chose to make this as we had easy access to all of the ingredients, and my daughter was a little reluctant to put avocado all over her face.. She hasn't lived long enough to know what spa life is all about! We worked together to make a popsicle shaped bath bomb. It sits for 20 minutes to set up and she told me I could try it out in my bath:) I think I like the spa pampering when I get to be the one to try out the product! The book is super helpful in explaining the process, giving step by step numbered instructions with side notes for more information. I felt most of the ingredients did fit into the 'green' category, except for when it used petroleum jelly. I personally do not classify that as green, but if that doesn't bother you, then you may have that on hand to make the lip balms. Fairy dust, glitter gel, bath bombs, scented stones, and sugar scrubs are just a few of the fun spa concoctions you can make! 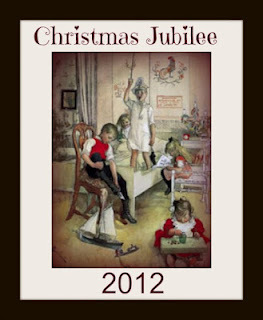 Check out their other great kits for both boys and girls of all ages online at SmartLab this Christmas season! Great ideas for unique gifts! SmartLab is offering one of my readers the All Natural Spa Lab!! Enter to win using the Rafflecopter below the Christmas Jubilee Photo! The Amazing Squishy Brain looks awesome! The pink art kit looks fun! My grandson would like the You Build It Robo-Bug. OH, glitter, glitter, glitter!!! My niece would love that kit! The DJ Rock Dock looks cool. The Space Exploration Kit & the Indoor/Outdoor Microscope. I like the Blast-Off Rocket too.